Looking for a place to call home this Easter? We have 5 different service times, Easter Egg hunts, and more, for you and your family. 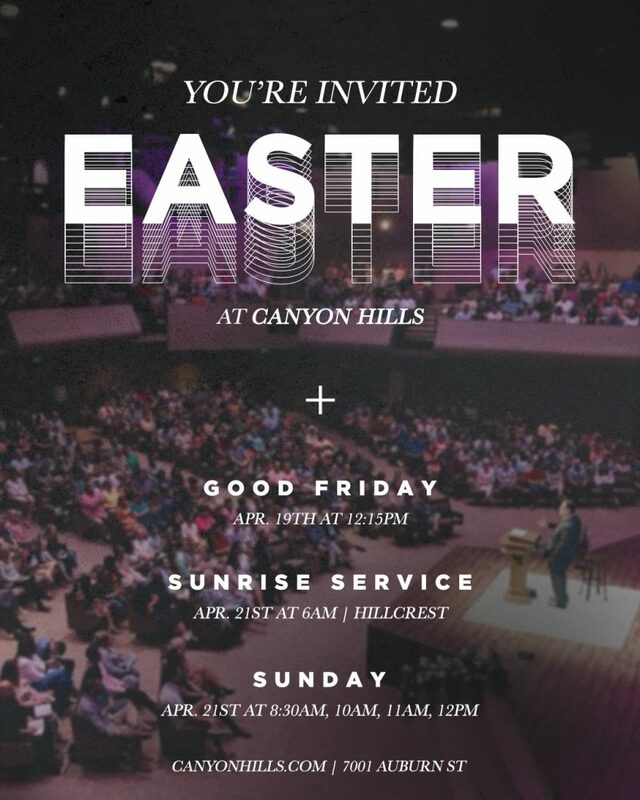 We’ll see you this Easter at Canyon Hills! If you’ve never joined us for a service at Canyon Hills, click on the RSVP link to let us know you’re coming and we will roll out the red carpet for you. Or if you prefer to be incognito, that’s okay too!